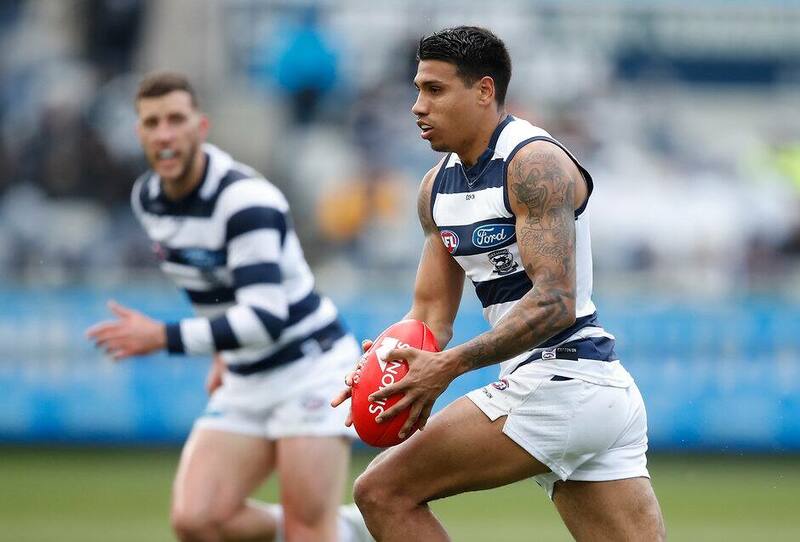 GEELONG has extended the off-season break of Tim Kelly, Tom Stewart and Sam Menegola by a fortnight. The Cats could have insisted the trio start pre-season training with the second to fourth-year players on Monday (November 12) but have instead given them an extra two weeks’ rest. The mature-aged runners, who are inexperienced in terms of AFL exposure but are each aged in their mid-twenties and between them have extensive experience at state league level, aren't required to resume training until Monday November 26, when the rest of Geelong’s players are scheduled to start their 2019 campaign. The Cats’ full list will then train together for three weeks before taking a mandated three-week break over Christmas. The extra time off would likely have been welcomed by Kelly, the overnight sensation from Western Australia who unsuccessfully sought a trade to reigning premier West Coast during the NAB AFL Trade Period for family reasons. The 24-year-old midfielder – a star with WAFL club South Fremantle before being drafted at No.24 in last year’s NAB AFL Draft – this year tied with superstar Patrick Dangerfield as runner-up to Mark Blicavs in Geelong’s best and fairest award. Fellow West Australian Menegola, 26, was previously rookie-listed by both Hawthorn (2011) and Fremantle (2012-14) and has made 53 AFL appearances with the Cats, being one of their most consistent contributors in the past two seasons. Stewart, 25, has also been a revelation, playing 43 games in his two seasons at the Cattery and was this year rewarded with selection in the back pocket in the Virgin Australia AFL All Australian team. In the process the local boy’s value was recognised with the security of a three-year contract extension that will expire in 2021.